When shopping or making our gifts this holiday season, let’s not forget our kids’ teachers. You don’t have to spend a lot of money to show your child’s teacher how much you appreciate them. I made mason jar snow globes and homemade ornaments for my son’s preschool teachers last year (he had four teachers, so I had to come up with something really budget friendly), and they loved them. So I thought I would share my DIY teacher holiday gifts with all of you. Step 1: Mix all the ingredients together by hand. Step 2: Knead it until it’s nice and doughy. Step 3: Flatten by hand or roll dough out with roller. Step 4: Use cookie cutters to make whatever shape ornaments you want. Step 5: Use a straw to poke a hole in the top so you can hang them with a string or hook. Step 6: Lay them out on a slightly greased cookie sheet 1 inch apart. Step 7: Bake for 20 minutes at 200 degrees. Turn over once after 10 minutes. Step 8: Let them cool after removing them from oven. 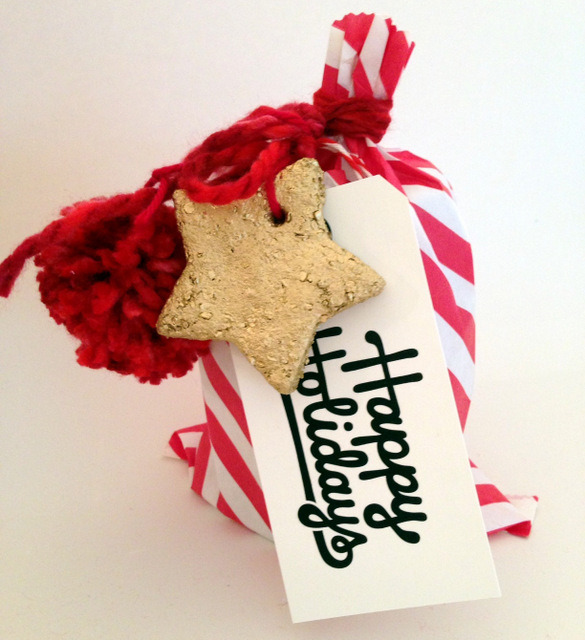 Step 10: Using string, jute, or yarn, tie your string to hang the ornament through the hole. Step 11: Write the year on the back with permanent marker so you’ll remember when you made them! Ours definitely weren’t perfect! 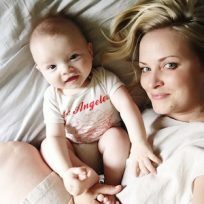 But if you’re giving them from your child to their teacher (these would also be great for babysitters, grandparents, or friends) I think it makes them cuter to have a few imperfections—after all, a three-year-old did help make them. I wrote a little heart, Charlie’s name, and the year on the back of ours. And not only did making these allow us to give some handmade gifts this year, but it started a holiday tradition and created some wonderful family holiday memories as well. If you want to give more than just the ornament you can tie the ornament to the outside of another gift, like I did with our mason jar snow globes that I also made. 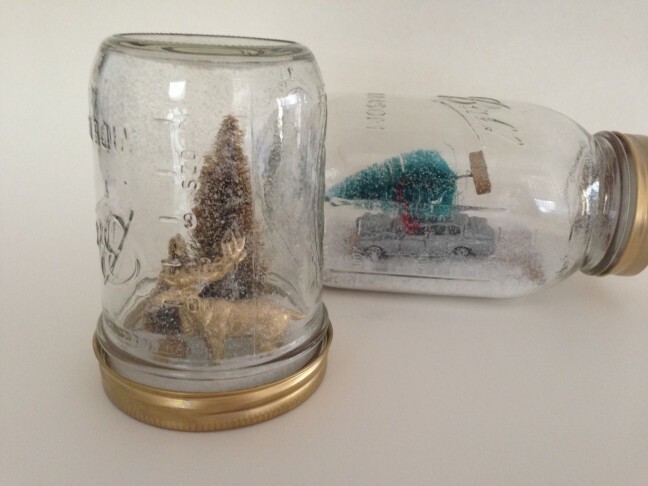 You can find the whole tutorial for the mason jar snow globes here. Once you make your snow globes, wrap them in some pretty paper, write a nice note on a pretty gift tag, and tie it and your ornament on. Then they’re ready for gifting!